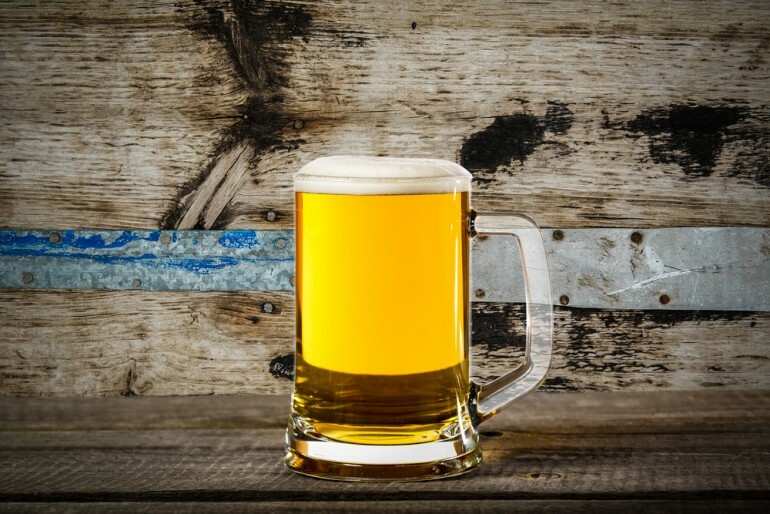 National Beer Day 2016: Here's How A Beer A Day Can Keep The Doctor Away! Sure, we were all going to continue consuming the refreshing foamy niceness that is beer; so why not feel healthy while we’re doing so? Turns out red wine normally takes most of the credit in the healthy-alcoholic-drinks department but beer has some merits too! Always keep in mind that the benefits an alcoholic drink may bring, can be cancelled out if not consumed in moderation. In this case, one or two beers are the recommendation. First off, let’s clarify that beer is as beneficial to heart health as wine; both drinks can lower bad cholesterol and keep blood clots from happening. They also share properties which help prevent Type 2 Diabetes. Some unlucky ones say, there is nothing more painful than passing a kidney stone (no, not even child birth) but the good news is, researchers in Finland found that drinking one beer per day can reduce the risk of developing kidney stones by 40 percent. Now, how many times have we heard that alcohol can cure a hangover? A bunch. Turns out beer can actually help rehydrate your body faster than water. Researchers in Spain asked a group of students to work out until their bodies reached 104 degrees and then had them rehydrate with beer or water. The students who drank beer rehydrated much quicker than the ones who drank water. Interesting! Another benefit beer shares with red wine is the prevention of cataracts. A study in Canada showed the antioxidants in one or two beers per day, can even help improve eyesight. On the other hand, it showed three or more drinks a day contributes to eyesight decay, so don’t get to carried away. Another great thing about our friend beer is a study from Tufts University found that people who drink one or two beers per day had a 5 percent higher bone density than those who don’t drink beer. Who knew it could give you strong bones? But my favorite and most encouraging benefit of all… Beer helps prevent Alzheimer’s! Research suggests that aluminum is linked to Alzheimer’s. When aluminum is taken up in the digestive system, it acts as a neurotoxin (poison in the body’s nerve system) but the silicon component in beer can block the uptake and accumulation of aluminum therefore preventing risk of Alzheimer’s. Tadah! Like I said, we might not need an excuse to relax and refresh with a pint every night, but just in case, there are these. Cheers!